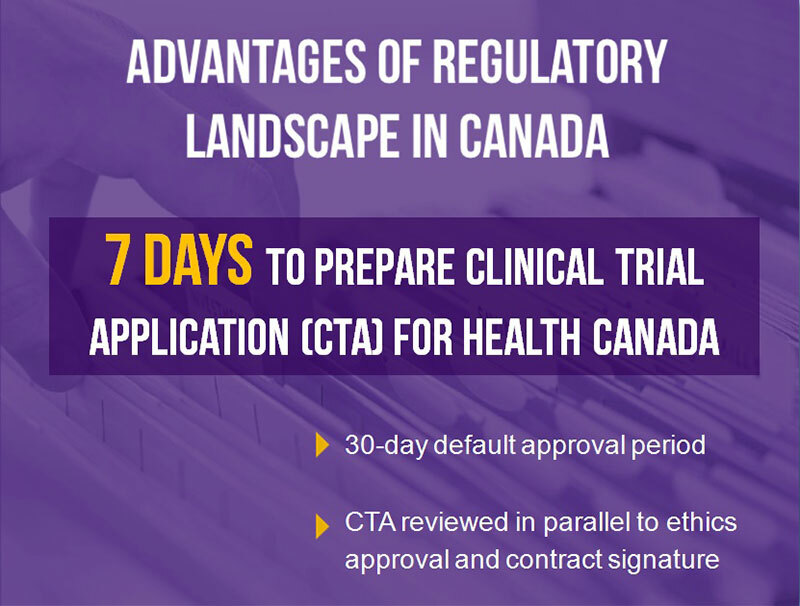 Our knowledge of the Canadian regulatory environment is your key to a successful clinical trial application (CTA) submission. We evaluate the regulatory completeness of each dossier according to the available scientific data. Our regulatory experts anticipate and address potential questions from Health Canada to avoid unnecessary delays and unforeseen costs for your phase I, II and III oncology clinical trials. While your trial is in progress, we will provide regulatory support for the filing of SAEs, the collection of CIOMS and SUSARs. 30 DAY DEFAULT APPROVAL PERIOD. THINK YOU MAY NEED A PRE-CTA MEETING? WISH TO RECEIVE A COPY OF OUR REGULATORY WHITE PAPER?